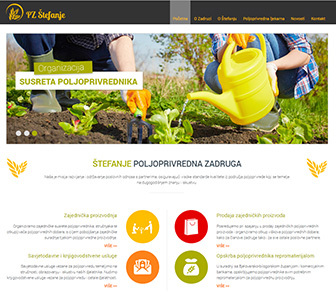 Štefanje is an agricultural cooperative founded in the 60's of the last century. It operates in the municipality of Štefanje, traditionally known for its production of meat and milk. Theatre Jastrebarsko for the second consecutive year scholarships high school students with lower social status. Citizens are participating also, by purchasing tickets for the festival "ŽIS". Lučko Football Club, one of the oldest clubs in Novi Zagreb, was founded in 1931. Through the club marched many well-known experts. The mission of the Croatian Party of unemployed is creation of the new state of Croats and Croatian citizens based on the true majority rule of the people, moral laws and principles. The Association for the Conservation of Nature and cultural heritage Zdenčina 1562 was established in 2011. The aim of the Association members Zdenčina 1562 is creating better living conditions for all residents of Zdenčina.